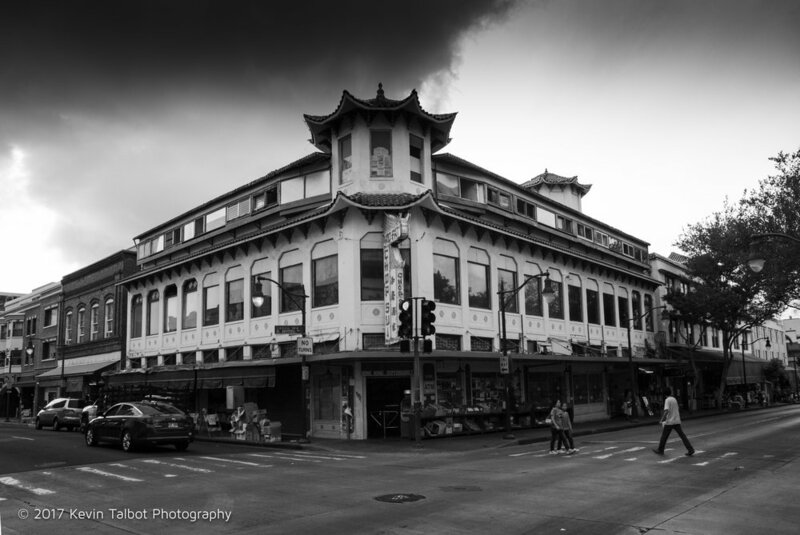 This building is no longer the Wo Fat restaurant, but is still a Chinatown icon and very photogenic. Photo taken in April 2012. Sidewalk fruit stand in the Chinatown area of Honolulu. TakenApril 2012. 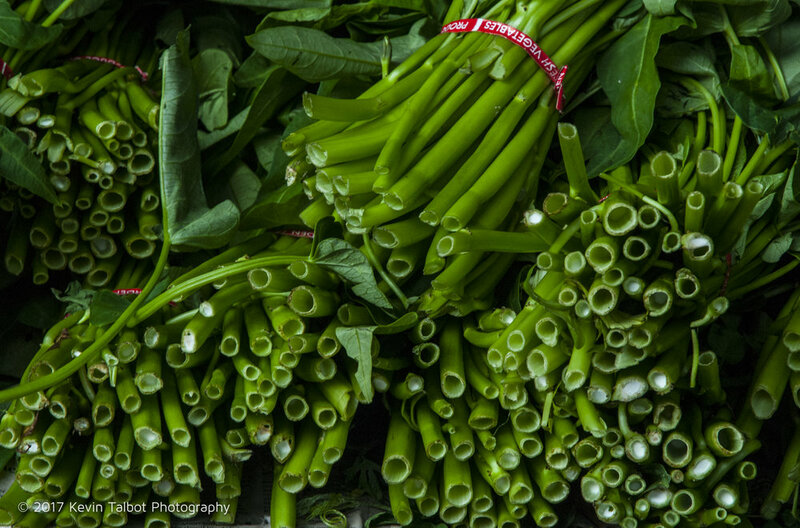 Sidewalk vegetable stand in the Chinatown area of Honolulu. Taken April 2012. 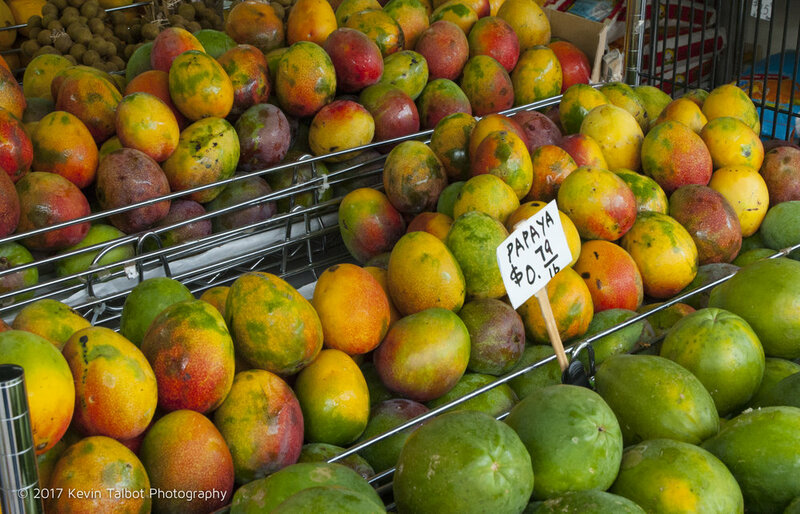 Sidewalk fruit stand in the Chinatown area of Honolulu. Taken in April 2012. 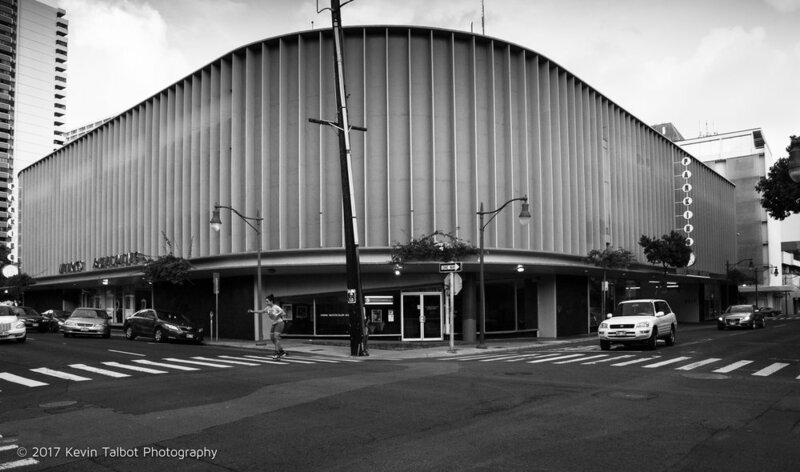 This iconic parking garage in Chinatown is a lively art scene on “First Friday”. Taken April 2012. 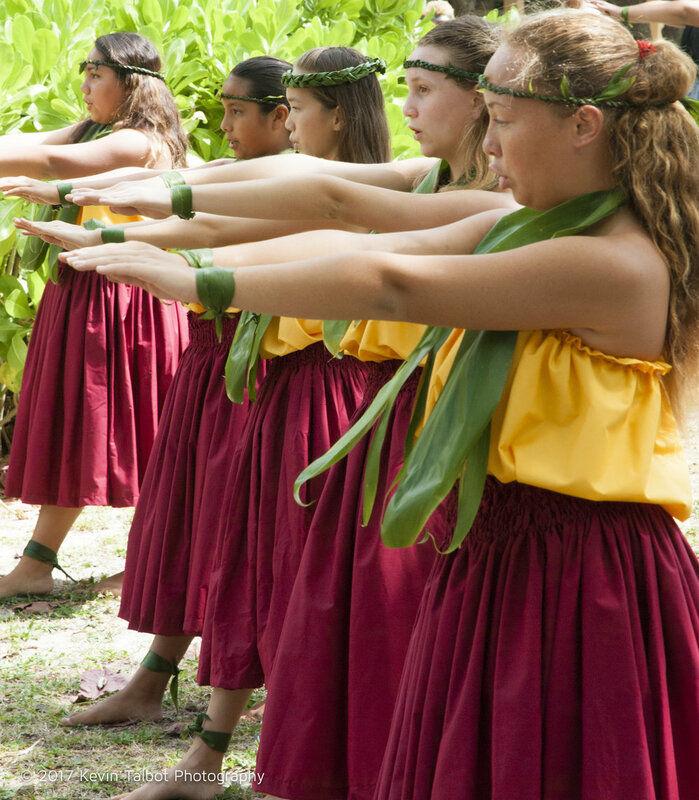 These young hula dancers were performing at the Hakipu'u canoe festival at Kualoa Park, Oahu, April 2012. 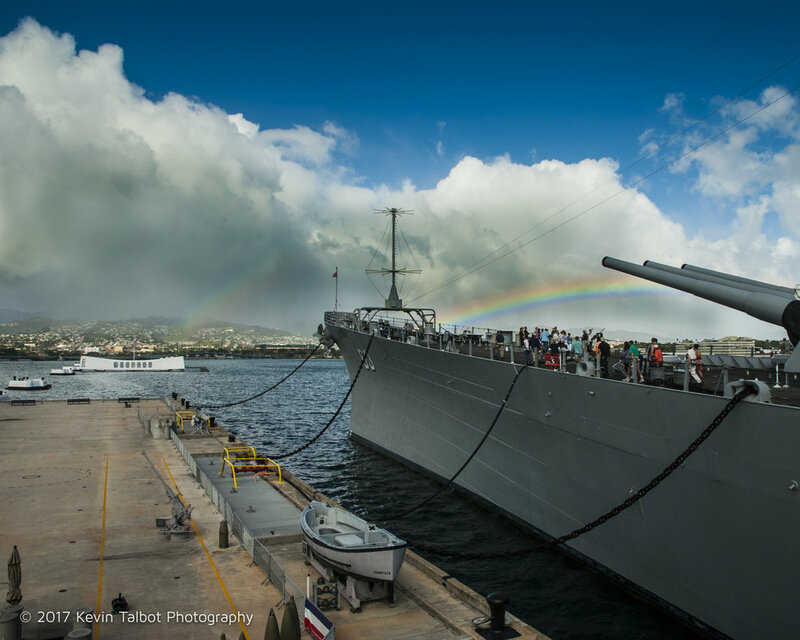 The Battleship USS Missouri in Pearl Harbor, Hawaii with a rare double rainbow in the distancce. Taken May 2012. 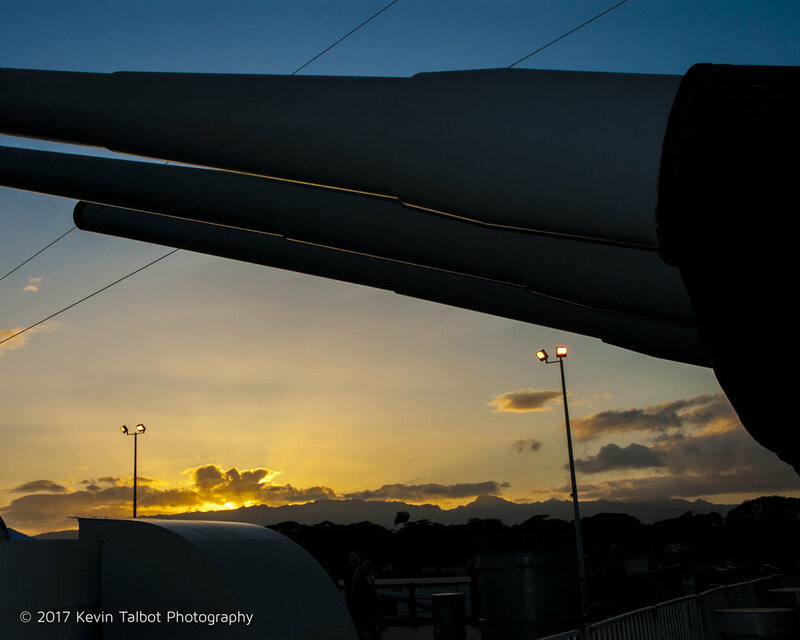 Sunset under the 16" guns on the rear deck of the Battleship Missouri. Taken May 2012. 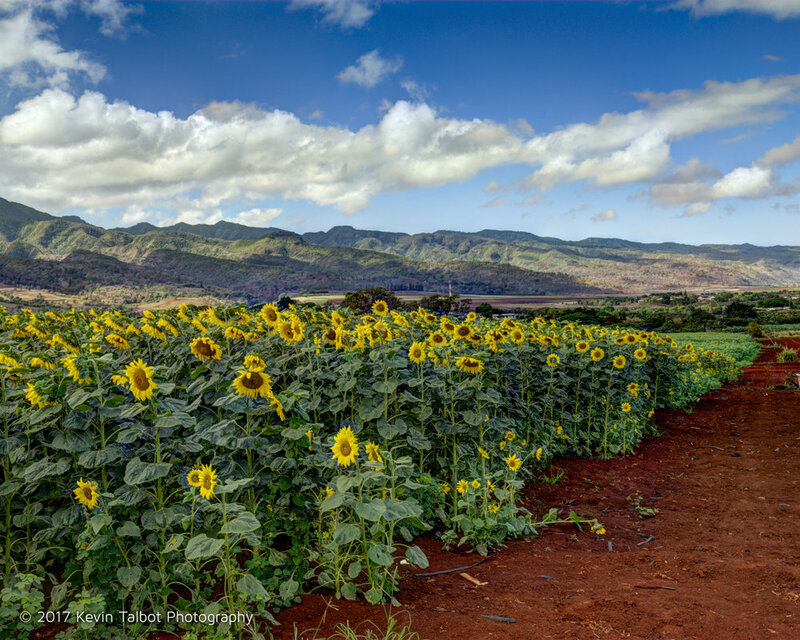 On the north shore of Oahu between Waialua and Haleiwa there is a well hidden commercial sunflower farm. If you are lucky enough to find this secret spot, you will be amazed by the acres of sunflowers in every direction. Taken December 2012. This was a sacred place to the ancient Hawaiians. According to Hawaiian mythology, this ridge is the fluke of a giant water lizard that Hi’iaka, one of goddess Pele’s sisters, slayed long ago. 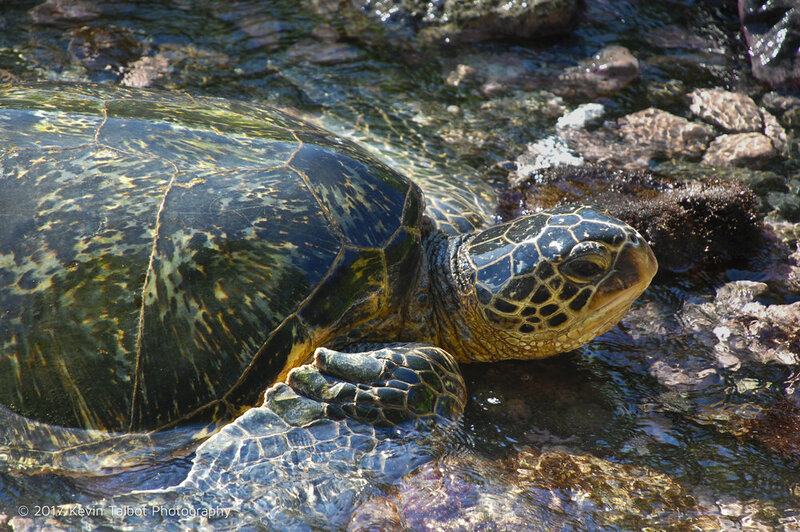 Nearby “Chinaman’s Hat” is the tip of the tail of that long dead lizard. 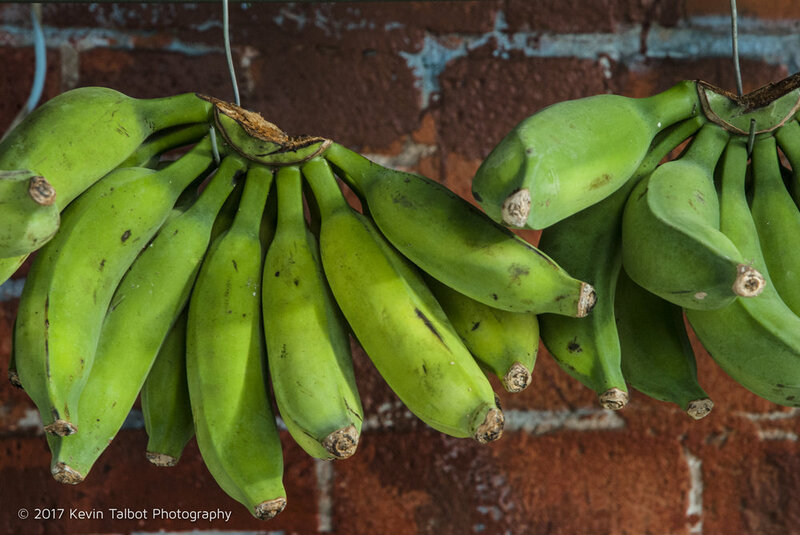 Multiple exposures were combined using “HDR” software to make this image. Taken December 2012. 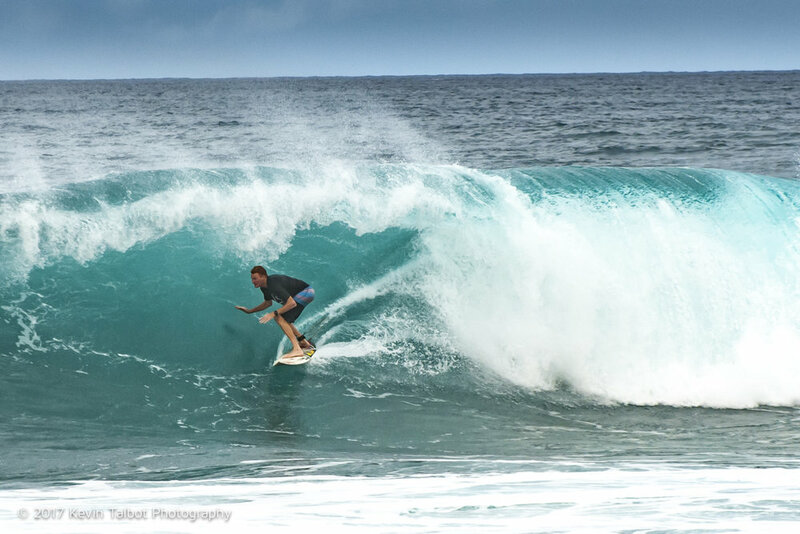 This skim boarder was taking advantage of the close-in shore break at Waimea bay. Taken March 2011.